Pasta with Basil and Cashew Nuts for Vegans, and Pasta with Egg and Fresh Cream for everybody!! These two recipes were first published in January 2011 in my previous blog that I had in wordpress. I decided to include them in Dream of Cakes as well, because I trully find them delicious and very easy to make. Give them a try, I am sure you will like both versions. I have a lot of friends who are vegans, so many times I make variations in my traditional recipes, in order to create dishes that they can eat. These two recipes take only 15-20 minutes to be prepared and they are both equally delicious. For the vegan variation you can omit the cheese on top or you can add a vegan cheese. The difference between the first recipe and the second lays between two ingredients: egg and fresh cream. (Cheese was included in both recipes). The first step is to cook pasta in a casserole of boiling water. Do not forget to add salt and vegetable stock in the water. Regarding the pasta cooking time, I suggest you always read the written instructions which you can find on the pasta package. 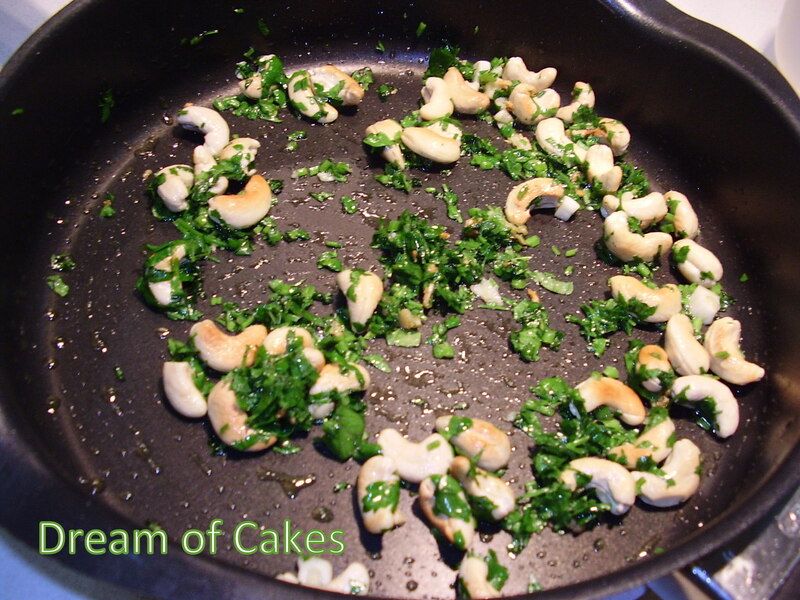 Extra Virgin Olive Oil, Cashew Nuts, Garlic, Basil and Parsley. At this stage is where the 1st Recipe (Vegan) is almost ready. All you have to do is add the pasta to the saucepan , stir it until all ingredients combine and serve; with or without cheese on top! 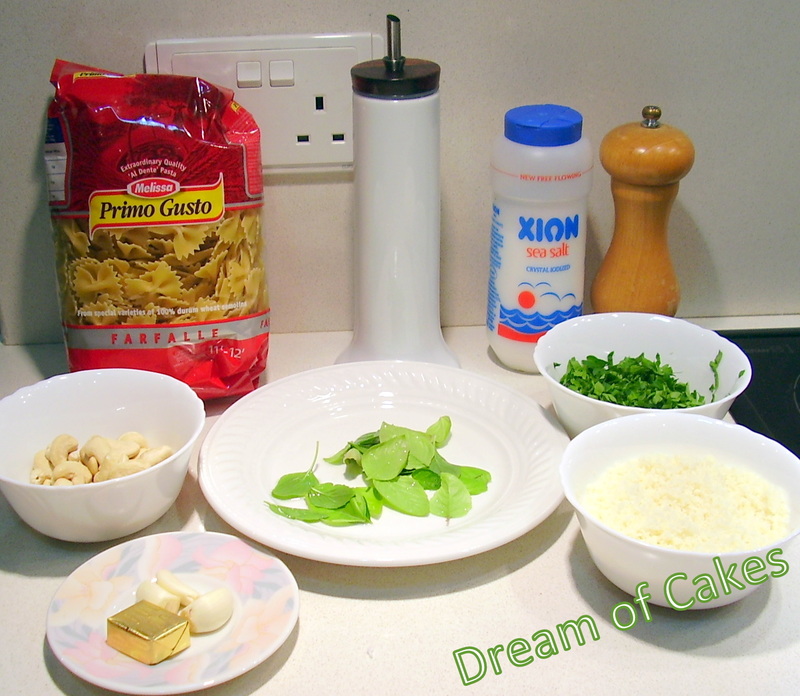 If you decide that you wish to have the 2nd Pasta Variation then all you have to do, is to combine the fresh cream and egg and then add them to the pasta, which was first combined with the cashew nuts and the other ingredients. The pasta is ready to be served. Enjoy…! Below you can find the full recipes. Pasta with Egg and Fresh Cream for everybody!! 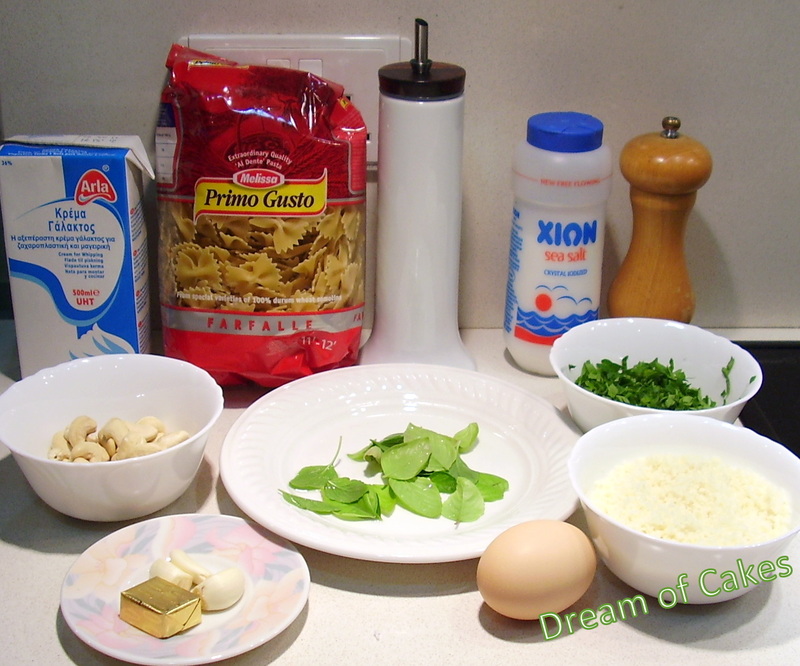 1) Cook pasta in a casserole of boiling water, (adding the vegetable stock and one tablespoon of salt while boiling), allowing 5-6 minutes for fresh pasta or 10-12 minutes for dried pasta, or until it is cooked through, but still has a ΄bite’. Drain the pasta thoroughly in a colander . 2) In a saucepan add olive oil, cashew nuts and cook for 1 minute; add garlic, basil and parsley and cook for another 30 seconds. a) 3) If you decide to have the vegan variation transfer the pasta to the saucepan and stir all ingredients until combined. 4) Season with black pepper to taste. 5) Serve hot with graded halloumi and ladotiri cheese on top. b) 3) If you decide to have the 2nd variation beat together the egg and fresh cream. 4) Transfer the pasta to the saucepan and then add the egg mixture; stir all ingredients until combined. 5) Season with black pepper to taste. 6) Transfer pasta to a serving plate and serve with the graded halloumi and ladotiri cheese or vegan cheese. I love the fact that this has cashew nuts in it-looks delicious-buzzed it. This looks so good! I love pasta recipes - especially with cream and nuts! Wonderful combination. 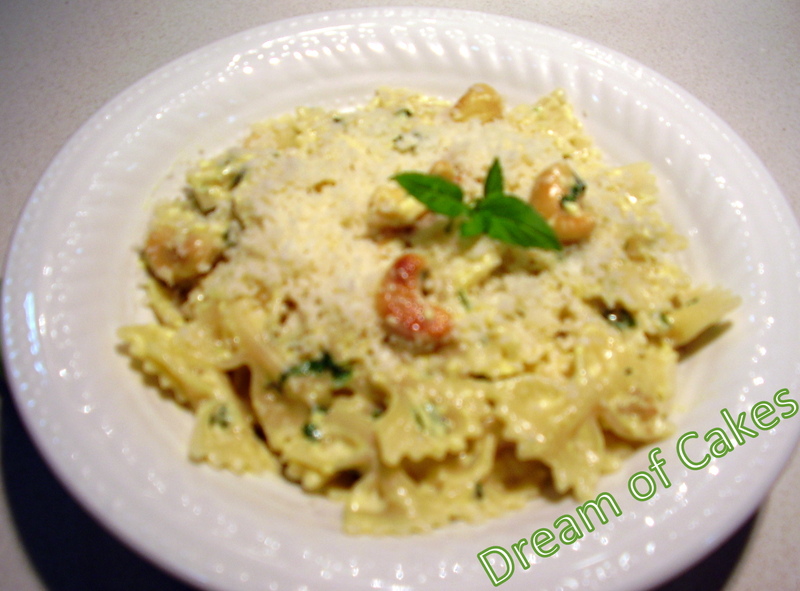 pasta with basil and cashew - who can resist?? Looks creamy and delicious! And love that there is just a small change for a Vegan variety! Delicious. Both recipes had me craving pasta with basil and cashews. Delicious pasta. I always make pasta dishes in two ways as my children love the creamy one but I prefer the other healthier version. I do love me some cashews! Ooh, I love that you give both vegan and "regular" version, that's really helpful! Especially for me since sometimes I cook vegan and sometimes I don't! That pasta with basil and cashew nuts looks so appetizing ... even to the non-vegan. Great recipe. Both sounds great - we'll have to give them a try! 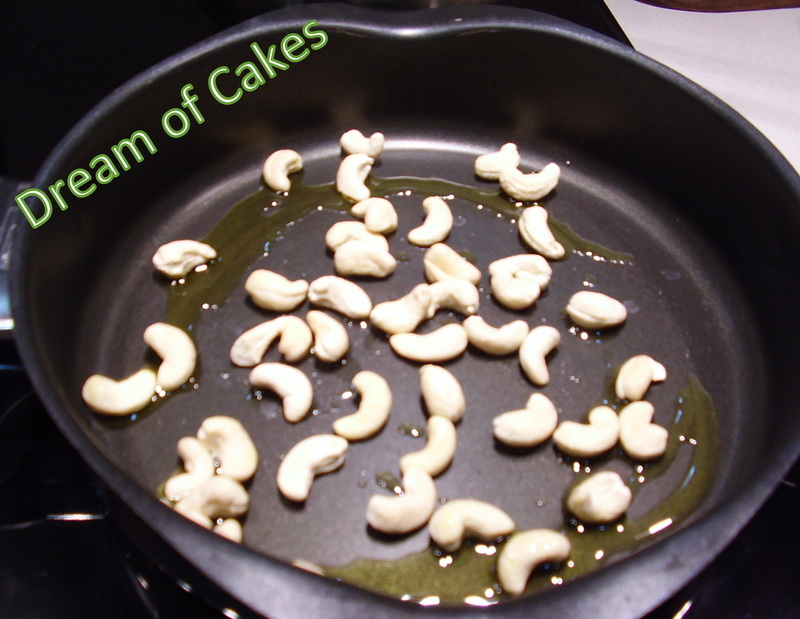 Isn't it just AMAZING what raw cashews can do?!? Sounds wonderful! I love the flavors ... so yummy! Great recipes! 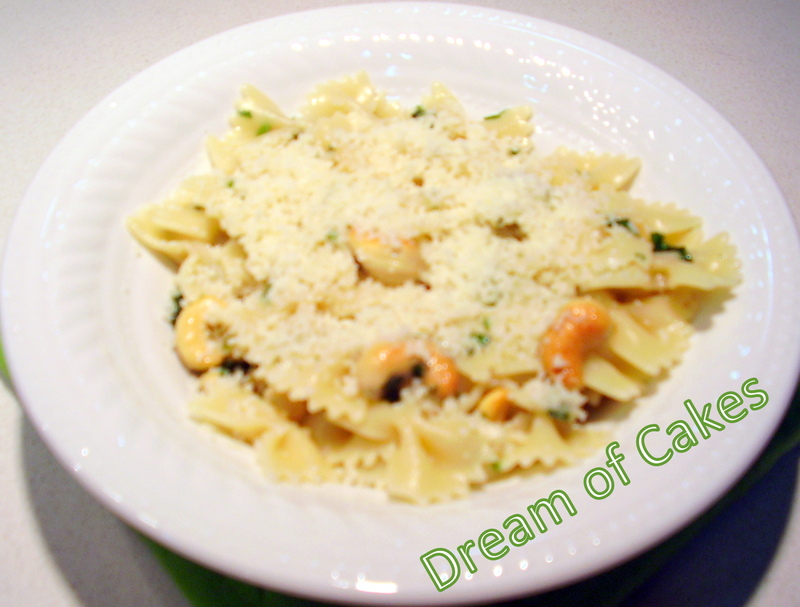 I love cashews with pasta! Awesome recipe!!! Thanks for sharing!